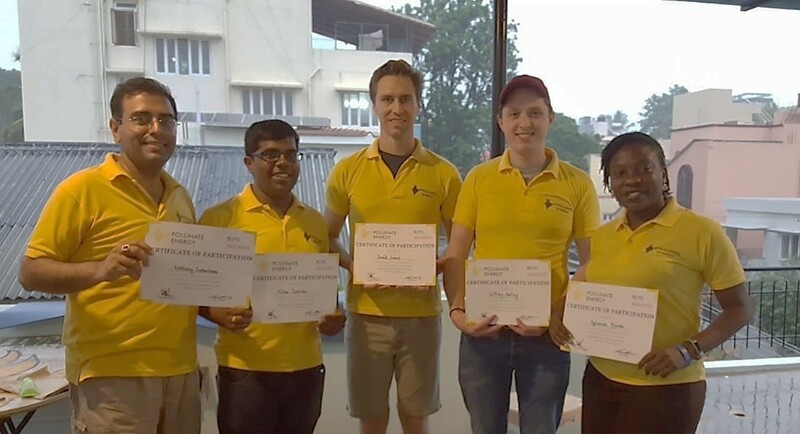 Pollinate Energy are a social enterprise aimed at providing life changing, sustainable energy solutions and products to India’s urban poor, while empowering the local Indian staff (Pollinators) through creating long term job opportunities. We (Pollinate Fellows) were tasked with completing impact assessments on the Pollinate Energy product range, being solar lights, fans, mosquito nets and water filters amongst many others. By virtue of completing these assessments, we were immersed within these communities. Starting this program, I was armed with the usual gamut of pre-conceived ideas of what it means to be poor, through my own experiences, media perceptions, and our general limited exposure to what life is like in the developing world. I was motivated by giving my time to make a measurable impact on the lives of others, and contributing my skills to a fantastic cause. What I learnt very quickly was, this only just scratches the surface of the wider issues, and is only the beginning of the journey to discover what each of us can do to mend the problems our world is faced with. This aside, it’s a damn good start. 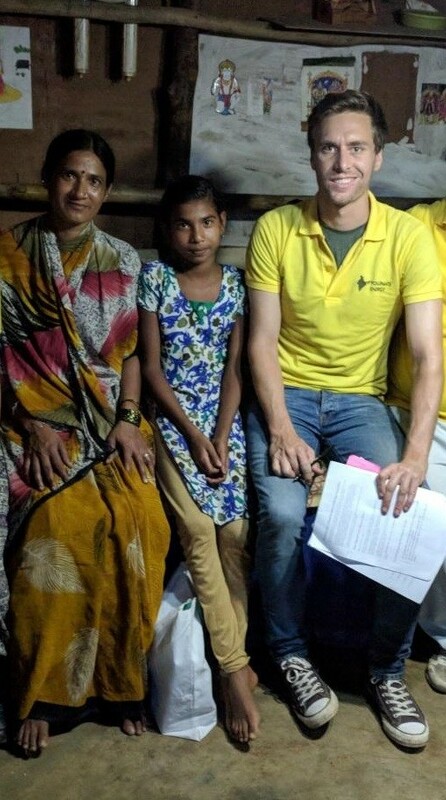 This experience gave us the opportunity to explore, discover and talk with Indian societies’ most disadvantaged communities… What took me by surprise was they didn’t fit the typical mould, and more importantly often didn’t consider themselves poor! This forced me to re-evaluate how I perceived poverty. 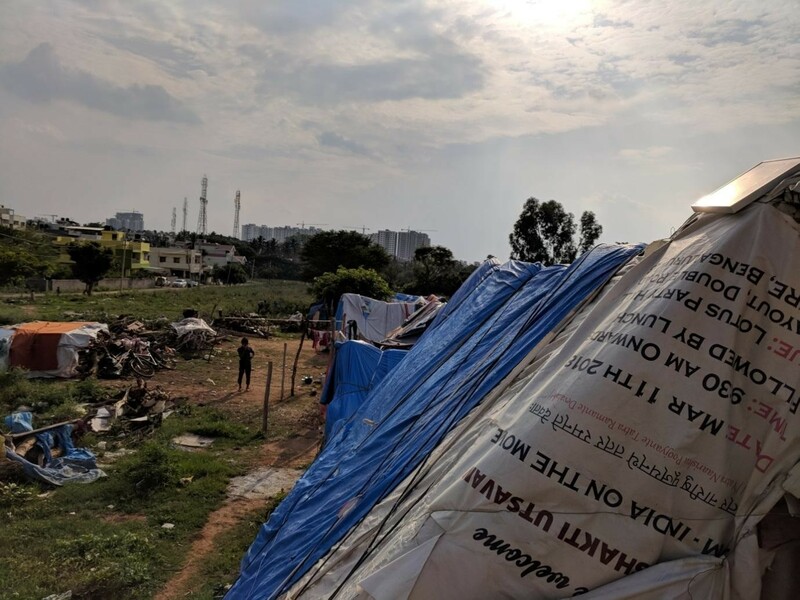 Despite finding ourselves in rubbish-filled shanty towns in Bangalore (mosquitos biting, the smell of the burning plastic used to start the cook fire filling the air) we were also surrounded by an enormous amount of happiness. At times, we were engrossed in games of “throw the tennis ball at a pile of tiles”, for the kids playing, it was all that mattered right then. While you’re trying to make an impact, they’re laughing at you because this foreigner doesn’t know the rules. 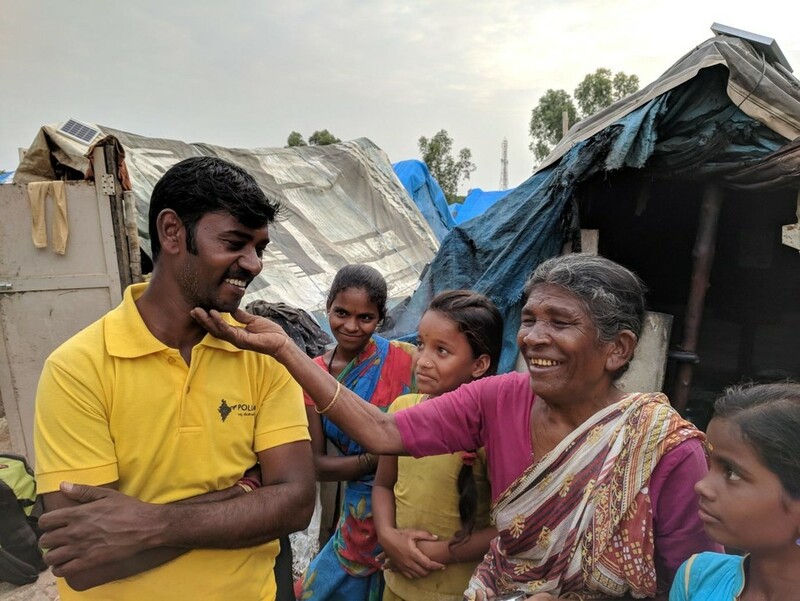 While completing our impact assessments, we’d often be invited into people’s homes. On one occasion we were asked to stay just a while longer and offered a hard-boiled egg to eat. We attempted to politely decline, as it feels incredibly awkward accepting food from families who work so hard for what little they have. It became clear to us that for them it’s more important you stay longer, spend time, talk and leave happy, the priorities were not about having those 2 extra eggs for dinner later. I was fortunate enough to weave together a series of these similar events and stories, and get the chance to see a glimpse into their lives. I started to see a depth and richness that I initially didn’t fully understand. Through these stories I began to uncover the values, dreams, hopes and desires that each person wants in their lives. It’s not about what they don’t have, and telling them what they need - it’s about understanding the power of self-determination, shaping their own hopes and dreams and then creating and facilitating opportunities to achieve them. This is what social enterprise is about: empowering people, pushing for equality, and most of all understanding the wealth that every person, culture and community has. Through creating an enterprise to sell life changing products to communities, employing disadvantaged people, while treating community members with dignity and respect, we could truly see how Pollinate Energy effectively creates opportunity for change. The impact assessments we completed will be used to continue to improve the organisation in striving to meet the needs and wants of each community. I entered this experience expecting to give, which I hope I achieved even to a small amount. But, what I really walked away with is others giving to me. From my colleagues, I learnt what motivates and attracts each person to contribute to this cause and other causes, the different types of kindness and compassion that drives each of them to unifying and powerful goal. I had the pleasure to work with an inspiring and eclectic mix of people from across the globe, including an impressive team from the WorleyParsons group. Importantly, I began to gain some insight into how we as a company, as professionals, and especially coming from higher socio-economic backgrounds might be able to spend some time to just learn from others via similar volunteering experiences. Through this learning, giving and exchanging process it sows the seeds for making a difference, and breaking down the barriers and pre-conceptions that only serve to obstruct equality. What I did learn for certain is how much I actually don’t know… and I hope to learn a lot more about what I don’t know again, soon.